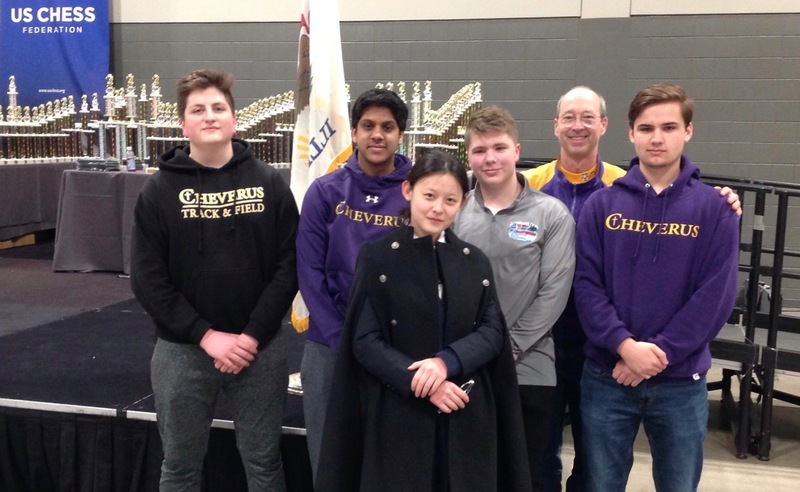 03.19.19 Five players from Cheverus High School in Portland along with their coach Dan Lavallee made the trip to Chicago to compete in the 2019 National High School (K-12) Championship. Sam Holbrook scored an incredible undefeated 6.5 points in seven games to finish equal second in the 392-player U1200 section. Here's the rundown of the event courtesy of coach Lavallee. 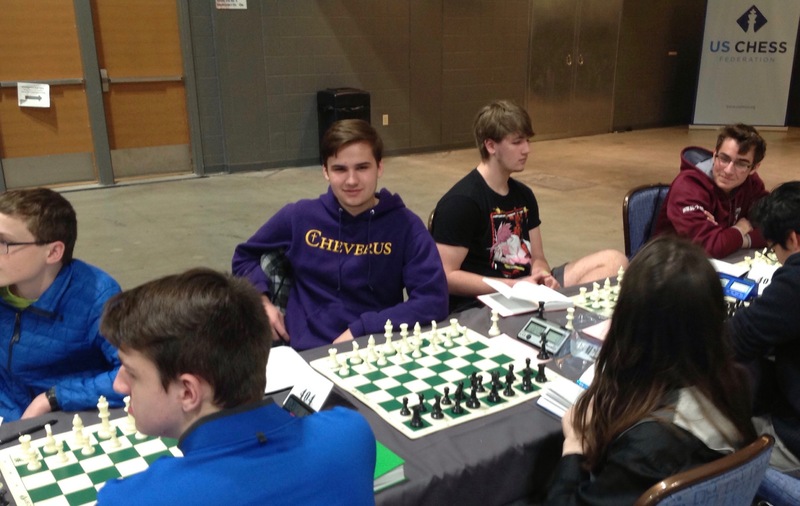 Sam Holbrook about to start the round at the 2019 K-12 National High School (K-12) Championship played March 15-17 in Schaumburg, Illinois. In the 296-player U1600 section, Dennis Kalloor finished with 3.5 points in seven rounds for equal 122nd place and Aidan Thomas put up 2.5 points for equal 220th pace. Sam Holbrook scored 6.5 points in the U1200 section missing the National title by the slimmest of margins. He finished as national runner-up with one other player and received the 2nd place trophy on tiebreaks. Also in the U1200 section, Nicholas Bither scored 2.5 points for equal 290th place. Rounding out the team was Ellen Han with 3.0 in the Unrated section. Team-wise we did not do well because players were split up over many sections. It was a great trip with good flights and serious competition over the board. Congratulations to all players for representing Maine on the national stage! WOW! What a performance! Congratulations to Sam and the whole team for a job well done!